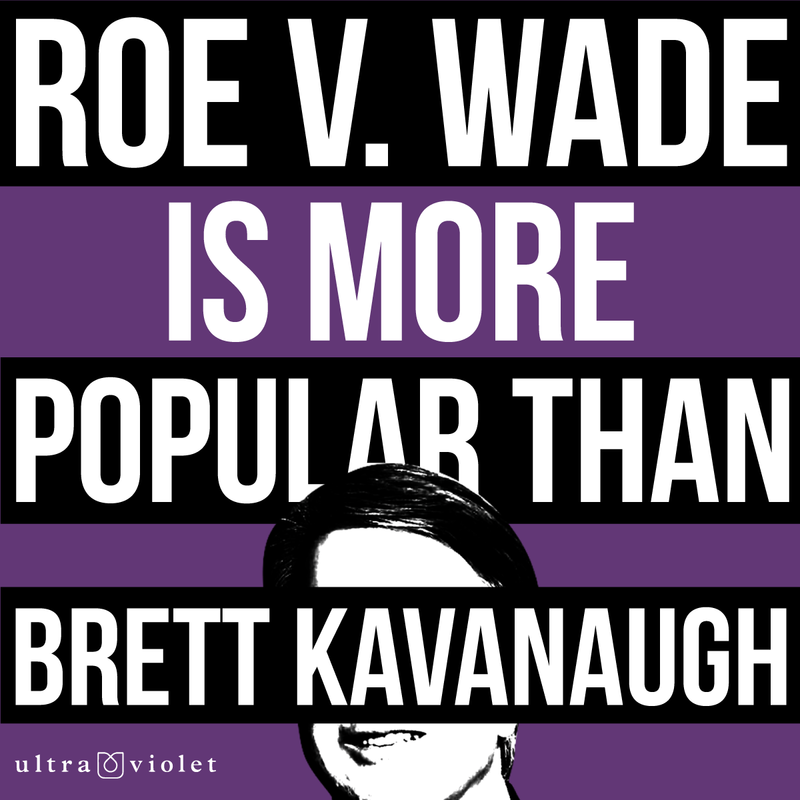 Yet, in reality Roe v. Wade is WAY more popular than Brett Kavanaugh. 71 percent of voters in the United States believe that this monumental decision, which established a woman’s legal right to an abortion, should not be overturned. Only 37 percent think Kavanaugh should be confirmed and take a seat on the Supreme Court. We have this message posted all over DC and in key states so senators can't miss it. Can you share on social media to spread the word there, too? Do you support abortion access? We can't afford to go back. Roe V. Wade must be protected.